The JAE Company proudly remodels and designs kitchens for Ohio homeowners in Westerville, Upper Arlington, New Albany, Dublin, Lewis Center, Powell, Worthington and Bexley. The kitchen is the epicenter of your home and the cabinets, countertops, and hardware you choose are an expression of your taste. Our team of kitchen design experts will learn what you desire from your kitchen remodel and then guide you through our exceptional array of options to ensure that you will love your new kitchen. To help inspire you, please browse our countless pictures of Columbus area kitchens we've recently designed or remodeled for homeowners and contractors. Want to see some current kitchen remodeling trends? Visit us at either of our two Central Ohio showrooms. If you notice a style you like or already have your kitchen remodel ideas solidified, schedule your kitchen design consultation by calling us at 614.392.4466 or completing the form below. 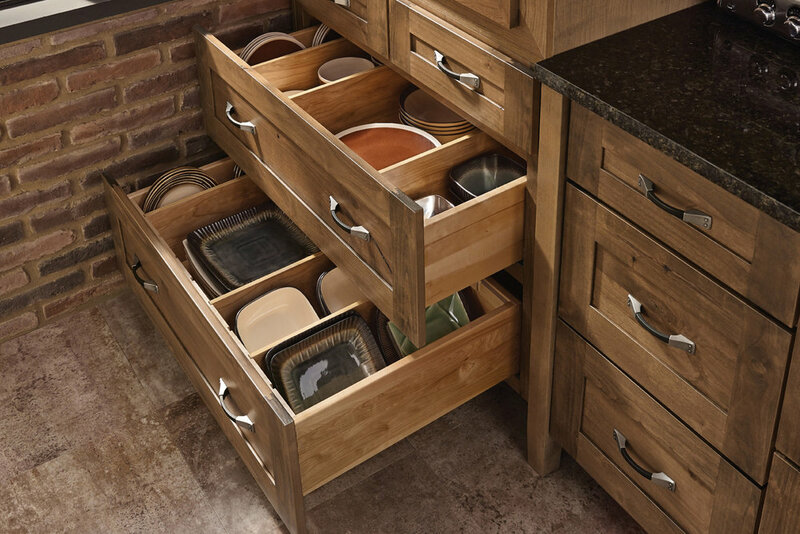 Our experienced designers will guide you through the cabinet design process. The collaborative process we employ considers your daily living practices and the latest in cabinet design and functionality! Our design staff will guide you through the countertop selection process and help you decide which granite, quartz or laminate is right for you and how it relates to the other components of your space. Hardware, while a seemingly small part of a kitchen design, can make a huge impact on the final look of your kitchen. Our design staff will help you choose the best hardware for your space, style and color scheme. Thank you! One of our kitchen design specialists will contact you shortly.